Advancements in veterinary medicine means as a vet we can do more for your pet - but treatment can often be expensive. Pet insurance allows you to budget monthly, rather than face unexpected bills that you might not be able to afford when your pet needs it most. At the Maraboon Vet Surgery, we have recently partnered with Pet Plan Insurance, the world's largest pet insurance company, to recommend their pet insurance to our clients. 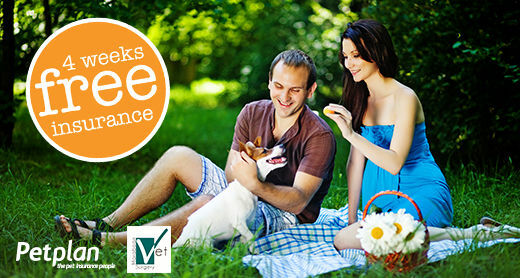 We are now able to offer a no obligation free trial through Pet Plan Insurance. This offer is valid for puppies and kittens from 8 weeks of age and before their 1st birthday. The insurance cover is valid for a period of 4 weeks from the date and time the policy is activated, with an opportunity to continue the insurance cover once the 4 weeks is up. Pet Plan will cover for injury/accident immediately and cover for illness will start 72 hours after the cover is activated. Terms and conditions apply. If you are interested in signing up your new puppy or kitten to Pet Plan insurance, call the Maraboon Vet Surgery and book an appointment with one of our vets. At the Maraboon Vet Surgery, we are able to process your pet insurance claims straight from our system, so you don't have the hassle of filling in claim forms or chasing up old vet records! Our friendly reception staff can process this upon completion of your pet's treatment, following payment. All you need to bring is your policy number and policy start date/last renewal date. Please see a list of compatible insurance companies below so your next insurance claim is a breeze!